On 23 September 2015, David Gauntlett will present an interactive talk/workshop-thing at Chicago’s Harold Washington Library Center, 6.30-8.00pm. 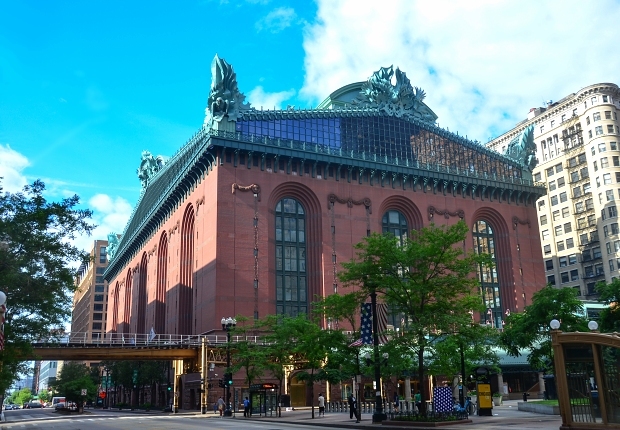 I am thrilled to have been invited to do an event about my ‘platforms for creativity’ concept at Chicago’s vast and innovative city library, the Harold Washington Library Center, which is at the heart of Chicago’s vast and innovative public library system, which covers 80 sites. The system is noted for its incredible array of events, workshops, and facilities, including 3,000 computers and an award-winning Maker Lab, all available free to the community. (See for example, ‘The Chicago Public Library Redefines its Role in the Digital Age’). For me, ‘platforms for creativity’ can refer to a place or event or idea or environment, big or small, physical or digital or a bit of both, where people can build things, separately or together, and have conversations, share inspirations, and make things happen. So: the Chicago Public Library is definitely one of those. And so: I need to do something special. Therefore this event will be the first time I do my ‘tinkerbox’ concept*, which I’ve been thinking about for a while, an event which combines a talk kind of thing from me with a workshop kind of thing participated in by everyone. Everybody will get to select from a bunch of objects – that’s the tinkerbox – which they will be invited to fiddle and make with, and talk around, in different ways. Sounds good, right? So, anybody near Chicago, I hope you’ll be able to come and join me. My multi-purpose event will be in the appropriately-titled Multi-Purpose Room of Chicago’s big central library, the Harold Washington Library Center, on Wednesday 23 September, 6.30-8.00pm. Everybody welcome – and you even get some tinkerfiddle things to play with! (*A lawyer advises: I can’t actually call it ‘tinkerbox’ because the internet tells me that there is already a Tinkerbox Studios, a web design company in Singapore. Yes I know – they don’t have any boxes! They don’t get people tinkering! What a swizz). Photo of the Harold Washington Library Center, Chicago, by Flickr user Eric Allix Rogers (see original), used under a Creative Commons BY-NC-SA 2.0 licence.